Happy Sunday! It’s brunch time. Don’t be dumb. We’re not here to talk about the Royal Wedding or whether you heard Yanny or Laurel. The good? It’s all about Deadpool 2, RuPaul and Disney. The bad? Who else but Trump. And as always, we bring you our Whack Job of the Week. See who it is below. 1. The LGBTQ Character in Deadpool 2 is …? 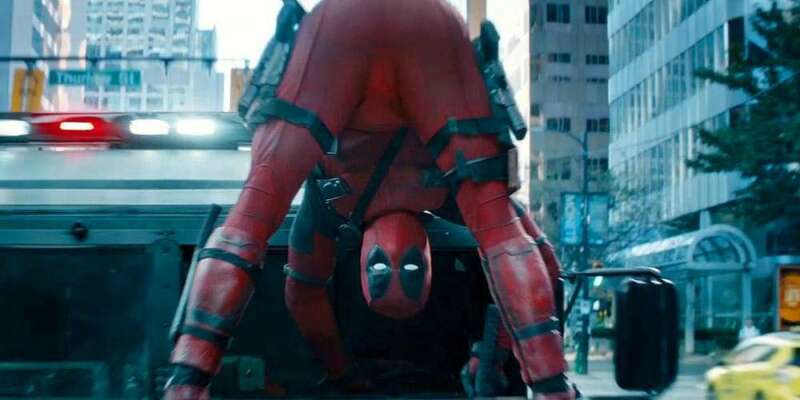 The blockbuster sequel Deadpool 2 came out in theaters on Friday and one of its characters came out too. 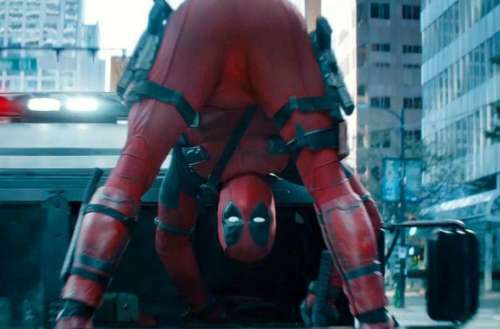 We already know that Deadpool is pansexual (will he act on it?) but according to GLAAD, one of the breakout characters from the first film comes out and introduces her girlfriend. 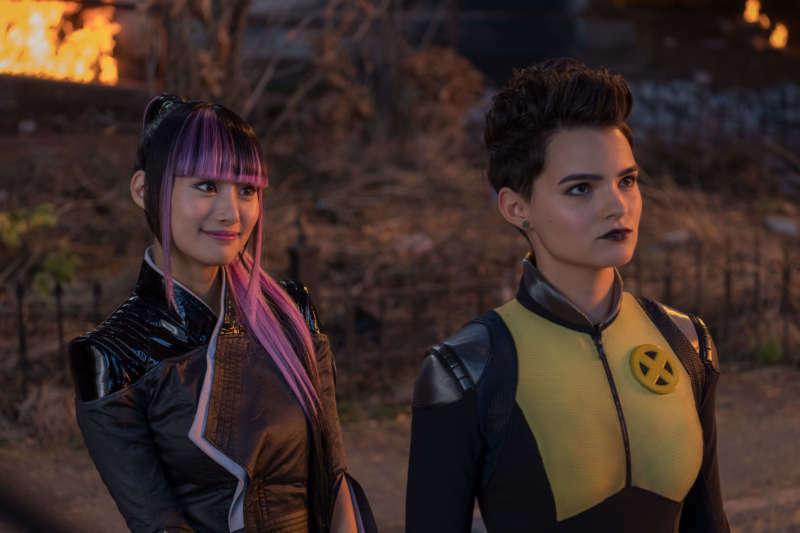 That’s right, Negasonic Teenage Warhead, played by Brianna Hildebrand, is LGBTQ — and she’s dating fellow superhero Yukio, played by Shioli Kutsuna. So between dancing with Celine Dion, naming his katanas after a Golden Girl (Bea and Arthur) and now this, what’s not to love about Deadpool and Deadpool 2 including our community in a major superhero blockbuster? Remember all the flack that RuPaul took from trans community over “You’ve got she-mail”? And her subsequent quotes about why there are no trans contestants? Well now, “she-mail” is no longer and now we see that the pit crew has it’s first trans member in Laith Ashley. Laith is a trans model who found recognition and appreciation. And he’s pretty stunning. See Laith in the latest episode of RuPaul’s Drag Race, OKurrrrr? We reported a few weeks ago that Disney was introducing LGBTQ rainbow Mickey ears. 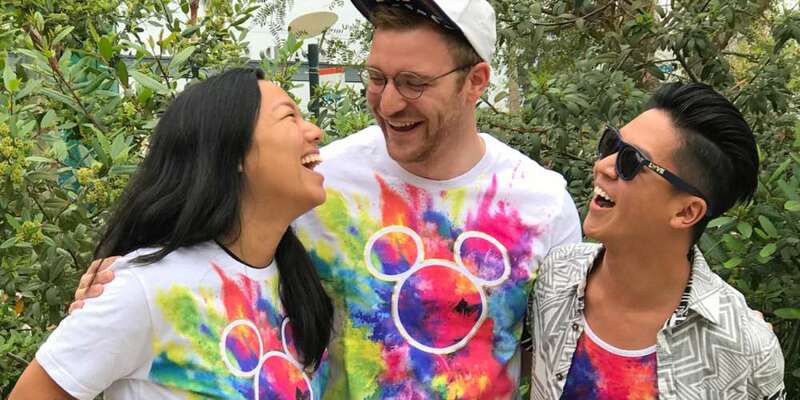 Well, now here comes Disney’s Mickey Rainbow collection, filled with tee shirts, tank tops, sunglasses, fanny packs and more. 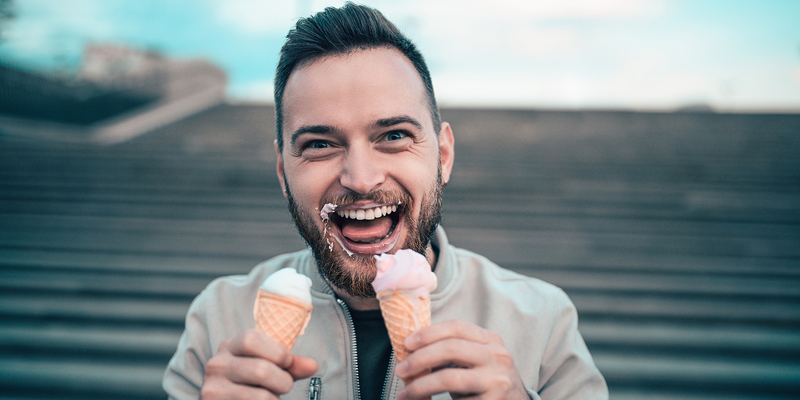 Even better, from now until June 30, the company says they’ll donate 10% of their profits to GLSEN (formerly the Gay, Lesbian & Straight Education Network), a non-profit organization that advocates on behalf of LGBTQ students in schools. The products are great and colorful — the donations to GLSEN are even better. However, maybe Disney should look at our first story this week and work some LGBTQ diversity into the Marvel universe. Now that would be blockbuster news. Remember how Trump said he’d be the best president for the LGBTQ community? (Well, he stumbled over the acronym.) 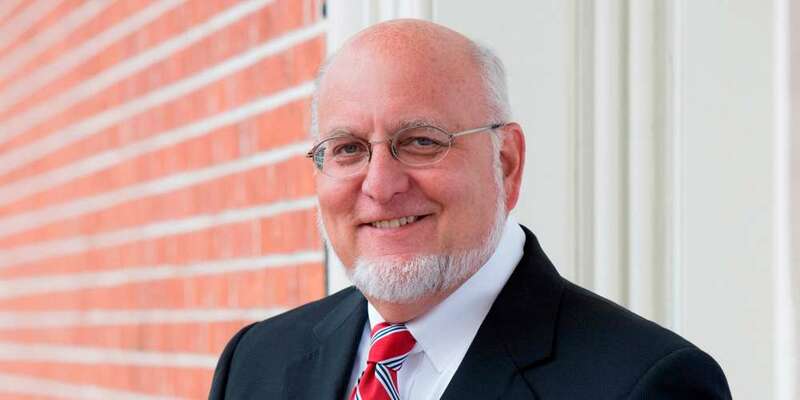 Well, President Trump has just named former HIV researcher Dr. Robert Redfield to head the Centers for Disease Control and Prevention. That doesn’t sound like a bad choice on the surface … until you dig deeper and learn that the good doctor (sarcasm) espoused some terrible HIV policies with an anti-gay Christian organization that considers the virus to be “God’s judgment” against homosexuals. Redfield’s list of sins against the HIV community is long and even George W. Bush, no friend to the LGBTQ community, declined to put him in charge of the CDC in 2002. What will this President do next to attack us? The 2020 election can’t come soon enough! 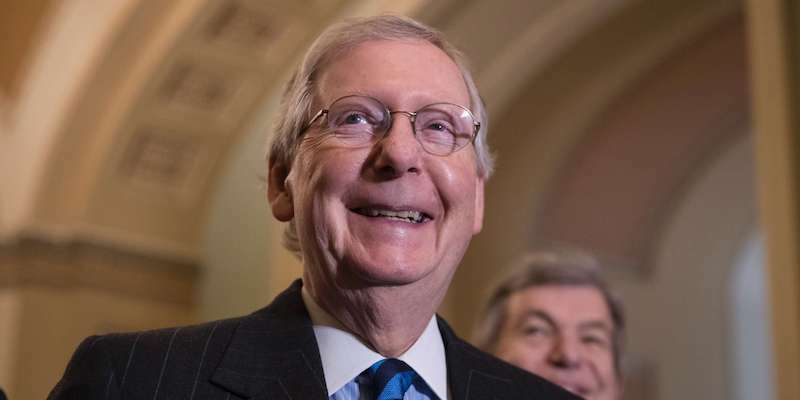 Senate Majority Leader Mitch McConnell named multi-whack job of the week winner, and bigot, Tony Perkins to serve as one of 10 members on the U.S. Commission on International Religious Freedom (USCIRF), “an independent, bipartisan U.S. federal government commission … dedicated to defending the universal right to freedom of religion or belief abroad.” Perkins is president of the Family Research Council, an anti-gay organization that has been labeled a “hate group” by the Southern Poverty Law Center. Perkins also has a laundry list of attacks against our community and now he’s being rewarded by the top Republican in the Senate. He’ll certainly use his position to help erode our rights around the world. 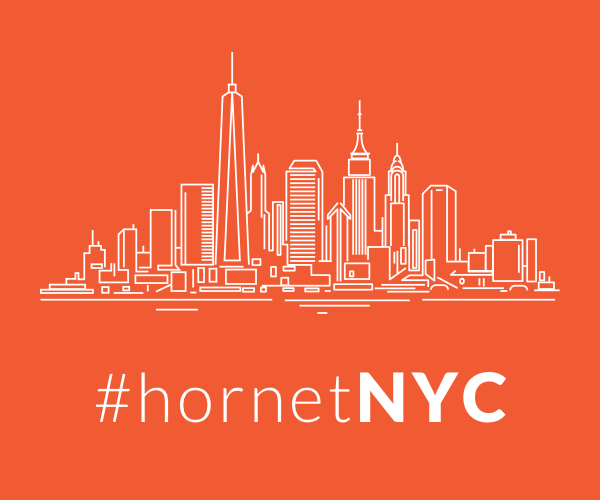 Our community is under attack. We have an opportunity to help send a message in November by voting for candidates that support the LGBTQ community. Let’s elect people that support equality, diversity and inclusion — this is another important reason to show up on Election Day.